We’d love your help. 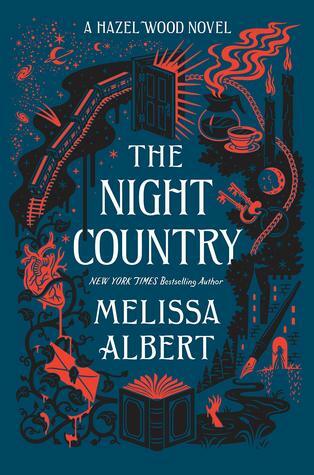 Let us know what’s wrong with this preview of The Night Country by Melissa Albert. In the sequel to her New York Times bestselling, literary/commercial breakout, The Hazel Wood, Melissa Albert dives back into the menacing, mesmerizing world that captivated readers of the first book. Follow Alice Proserpine and Ellery Finch as they come to learn that The Hazel Wood was just the beginning of worlds beyond, “a place Can you ever truly escape the Hazel Wood? 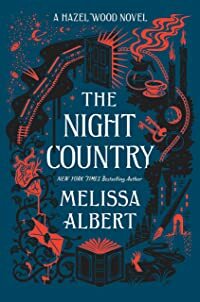 To ask other readers questions about The Night Country, please sign up. Can this please just be a book about Finch's adventures after the events of The Hazel Wood? Is this a follow up-- like a proper sequel? Or more like another Hazelwood story with perhaps a few cameos? Melissa It is a full on proper sequel, with stars AND some cameos. I'm definitely going to read this a lot of times. Melissa ellis wrote: "just read the chapter and i’m in love"
Melissa Kenya wrote: "I've been hurt a great deal, but never once have I been hurt like this...I need more, I just can't go on if you're gonna continue to tea Kenya wrote: "I've been hurt a great deal, but never once have I been hurt like this...I need more, I just can't go on if you're gonna continue to tease me this way😭😭"
This better be about Finch. That’s all I’m asking for. GODDAMN IT WOMAN PLEASE JUST GIVE ME MORE FINCH! Okay, all I can say is that I hope that Alice and Finch can find their way back to each other. Maybe she'll join him in another world along with her mother - after all, Ella missed the magic too. Don't get me wrong, I LOVED The Hazel Wood but it ended on such a good note... what are you going to do? I really hope Finch comes back into the story. I enjoyed his character too much to see him go. Hopefully this book at least describes his journeys in the Hinterland. I really want him and Alice to be together though, thought it was going to happen. They has so much chemistry. Don't get me wrong I love their friendship but I mean come on, I think we all know what was happening there.